Fuel has to turn into a crucial part of our daily life, and without it, we can’t even think of our life. But the fuel prices are increasing at a skyrocketing speed and in the end, it’s going to affect each and everything that we use and consume in our daily life. Fuel hike directly or indirectly affects all the main sectors like transportation, auto, textiles, food and etc. Because of manufacturing and transportation the prices of daily necessary commodities also going to increase which are transported on an everyday basis. Banking field is also projected to suffer due to high increase level in price rate. The continuous fuel hike is bad news for the common people as there are numerous commodities that may witness a price hike. 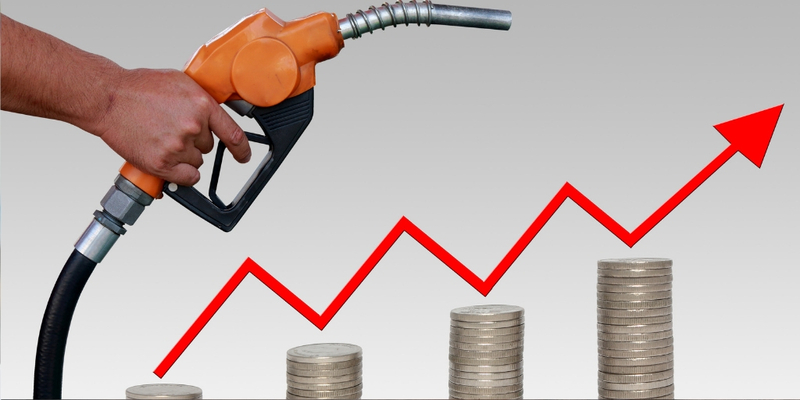 Here are six ways in which increasing fuel prices will affect common Sri Lankan citizen. A straight impact of increasing fuel prices is the rise in our spending on fuel each month for a similar amount of travel. Unluckily, we can’t do much about this cost. The one thing that we can do is reducing our weekend driving and travel to some extent. If fuel rates rise, we will have to pay more for the essential commodity as the input rate of corporations would go up that would generate an increase in the price of essential commodities and goods. There are great chances of increase in production cost as well, which will make the costs of commodities even higher. While it does not relate to all commodities and goods, there is a large number of goods whose rates may be increased. The country may be hit by a state of high inflation if fuel prices continue to rise that can led to a higher rating on ended goods and commodities, especially oil goods. Additionally, prices of grocery goods may also increase. In fact, things that use the material for packing is expected to receive a rate hike as well. Our savings will also undergo in a condition where we are enforced to pay provocative prices commodities and goods. Similarly, may the service charges would also grow up in case of increasing crude prices, and this can further give a huge hit on our savings. Though, the major setback would be connected directly to the commuters or the private vehicle owners. High inflation rate may eventually lead to increasing interest rates. So, anybody thinking of attaining a loan will get affected. On the positive side of it, savers will profit from the higher interest rates. This is the added indirect effect arising out of high fuel prices. As fuel prices go up, automatically we see the stress on the outward account and the cost of importations goes up, debt increases and the rupee undergo pressure. So if somebody is preparing a holiday or planning to study outside Sri Lanka, the devaluing of the exchange rate will begin showing its effect. Sri Lanka has had a strong exchange rate so far but it started devaluing since fuel prices started to going up. This will also affect those with a commercial that has transactions in foreign exchange. Internet penetration growth in Sri Lanka 2018. Why Sri Lanka is the best tourists' destination?